Be sure to send in your questions for the next thrilling update! Or don't. Also, support us by buying a new Amazon exclusive vehicle from our sponsor - we do get a small kickback from these links and it helps keep the lights on down here. Clearly the froggiest! The Takara-Tomy Beast Saga Guarl Burst Action Figure brings you an uncommon clear milky white plastic color, making it a little more distinctive from the clear colorless guys out there! The green is also gorgeous. So read on, read our Star Wars one too, and come back soon for more! Over the weekend, Hasbro sent in 2013 and 2014 Transformers Generations and Beast Hunters Toy Previews! We put up a massive gallery combined with notes we saw from the panel, including things like a new Whirl, reissue of FOC Grimlock, and a Voyager-class Rhinox, of all things. It's an exciting time to be alive and you can see all of this stuff, right here, right now. 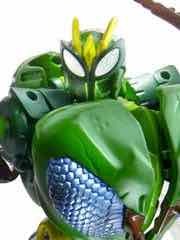 Just click Waspinator over there. G1 Predaking is getting a Hasbro-boxed reissue. A Platinum Edition set of Grimlock and Bruticus are based on their Fall of Cybertron forms. 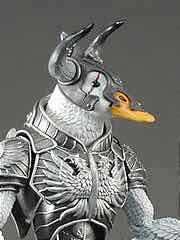 The former is a metallic redeco, while the latter seems to be based on the Comic-Con 2012 exclusive deco. Comic-Con 2013 will get a special edition of Metroplex with additional weapons, 12 bonus mini-figures, and special deco with a metallic face. Comic-Con will also get a Shockwave's Lab playset as well as a swell set of 5 "classic" G1 figures, albeit with movie Autobot and Decepticon logos on them for some reason. A gold Linkin Park-edition Soundwave with all-gold Buzzsaw, Laserbeak, Ratbat, and Ravage is still on deck. Masterpiece Acid Storm and Soundwave are still coming to Toys R Us in some capacity. 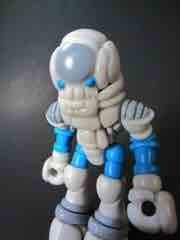 The next club exclusive figure is Protoform X (Rampage) based on the First Edition Transformers Prime Megatron mold. It really works. 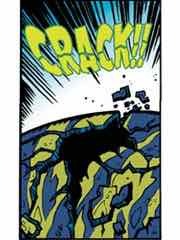 He will be joined by Transmutate, based on Arcee. Via the Battle Beasts News: The DST Years blog: Battle Beasts Minimates at San Diego for Comic-Con International 2013 confirms a really cool purple Merk (pictured) will be given away at the show - if you're really lucky. Series 1 figures will be sold at the show, and series 2 will be shown for the very first time! It's an exciting time to be alive. At ToyFinity: The Origins of the Species Mini-Comic Is Live and now everybody can read it! It teases what appear to be more Mordles, Manglors, and even has a guest star in the form of an existing Glyos character. 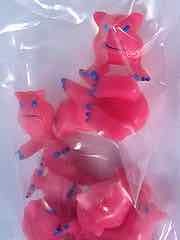 More importantly, The ToyFinity Store Is Open With Mordles you can order today. And you probably should, we're rather keen on them. Hot Wheels Collectors showed off more sneak peeks, including a reissue of the 2011 Hot Wheels Batman: Arkham Asylum Batmoble with more black, less chrome, and swell new blue rim wheels. It's really nice. Other new additions: '86 Monte Carlo SS, '69 Ford Torino Talladega, Mitsubishi Eclipse Concept Car, Rescue Duty, and 4ward Speed. These are due in late July in Mix N. Click here to order Mix 988N at our sponsors, were you so inclined. Swap some spit at Comic-Con! October Toys SDCC 2013 Exclusives At Booth 4951 shows off OMFG Series 2 and Baby Deadbeet exclusives for Comic-Con 2013. Each of the two sets of OMFG figures include 5 figures in blue or yellow, with the opposite set's spit - so you can have a nice contrast in there. Each pack is $10. 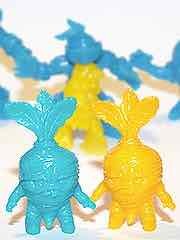 Meanwhile, the Baby Deadbeet blue and yellow set is $4.00, or "too cheap to last a whole day." Get 'em if you can! He's ugly, but dagnabbit he looks great. The Mattel Masters of the Universe Classics Karatti Action Figure came in the mail and I gotta say, it looks like a lot of money went into this figure, far beyond what was necessary to make it great. So read on, and come back tomorrow for more! Ad: In stock now! Entertainment Earth has awesome action figures in stock from ALIENS, Predator, and E.T. with more coming! Click on over to grab yours while you still can. 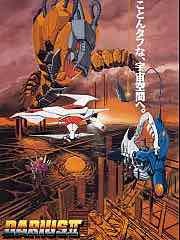 Ad: Predaking is coming back to the USA! Amazon and Big Bad Toy Store have the shared exclusive on this one, and it's $119.99. You get all 5 beasts and all the parts to build the combiner, which has been reissued in Japan a couple of times but not yet in the USA. If you click through the link below to order yours, we get a small cut - so please click below before you buy! It's new! 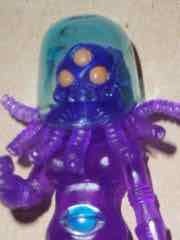 The Onell Design Glyos Ivorinium Noboto Action Figure is one of two releases of the figure, neither of which you could buy - they were freebies in a recent Onell Design promotion. It's pretty great, and so new I barely had time to shoot it and play with it, so forgive its, uh, extra-rough edges. So read on, and come back tomorrow for more! Ad: Going somewhere, Solo? Entertainment Earth revealed Star Wars: The Black Series Greedo pictures, with one more big reveal coming next week! 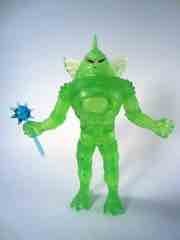 Check out Greedo today. Pre-orders are open for the first series of Black Series action figures as well - both 3 3/4-inch and 6-inch varieties. New to download on the Playstation 3 this week: Bladestorm: The Hundred Years' War for $19.99 and i>Tour de France 2013 � 100th Edition for $49.99. New PSN games include MLB The Show: Home Run Derby at $5.99. 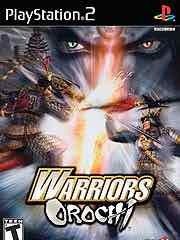 New PS2 classic games this week: Warriors Orochi for $9.99. 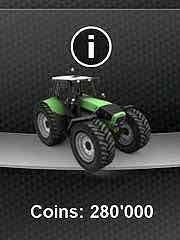 New to the PSP Vita this week: Farming Simulator, Velocity Ultra and Pinball Heroes: Complete. Each is $5.99 and up. He's huge, and amazing! 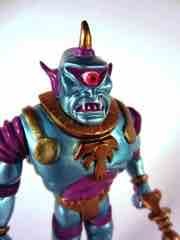 Four Horsemen Outer Space Men Infinity Edition Cyclops Action Figure is expensive, but it really is impressive up close. So read on and come back tomorrow for more! If you missed the show, it's your lucky day! 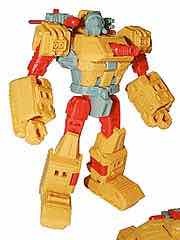 The Transformers Collectors' Club Store has Botcon 2013 Exclusives Now. Most of the items are there - the boxed set, the Blastcharge Strika class figure, and pretty much everything except the "Rainmakers" set is there at press time. If you get an extra Electron, please sell it to me, thank you. 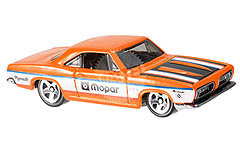 Hot Wheels Collectors showed off more sneak peeks, including a Hot Wheels '68 Plymouth Barracuda Formula S with Mopar markings and lots of orange, which is what matters. Other new additions: Scion FR-S, '65 Mustang 2+2 Fastback, '09 Ford F-150, Enforcer, and Maximum Leeway. These are due in late July in Mix N.
"Ignite your spark with Magic 2014 � Duels of the Planeswalkers! With over 12 million fans, discover what makes Magic: The Gathering the world�s premier trading card game. Become a Planeswalker and travel the planes of existence unleashing a torrent of spells and creatures to devastate your opponents." Ad: Available soon! New Minecraft Shirts, Jewelry, Toys, and More from Jinx are coming from Entertainment Earth. 22 new items have been added, so check those out right now! Pre-order your stuff now! Or don't. But please do! New this week! 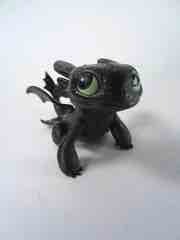 The Spin Master Dreamworks Dragons Defenders of Berk Toothless Night Fury Action Figure just hit stores a couple of days ago, so consider this an announcement that new Dreamworks Dragons toys are out as much as it is a review posting. If you have kids that liked this movie on DVD, well, now you can buy toys based on the TV show. So read on and come back tomorrow for more! Over at 481 Universe - Outlander Action Figures Launch Tonight. There are two styles of figure, and they're $12.00 each. Via our pal Seth, we know about New Tomy Tec Zoids at HobbyLink Japan. They cost more and may be half the size - the listing has them as 1:144-scale kits, while previous Zoids were often labeled 1:72 scale. 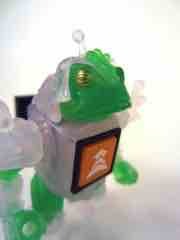 Sinker (pictured) is 2,200 yen, while previous releases of the wind-up toy were generally under 800 yen. Some new dioramas, including a repair bay and a hangar, are also available. 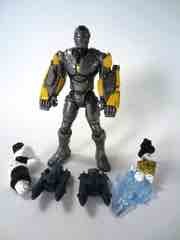 Sinker is joined by Godos, Hammer Rock, Saber Tiger, and the very cool Shield Liger MK II. Pictures around the web say Salamander and the Command Wolf are coming soon. This week's Wii U offerings: The Wii U Virtual Console has Super NES Pilotwings, one of the three launch titles from 1991. It's $7.99. This week's batch on the 3DS Shop: 3DS games include Deer Hunting King and Fishdom H2O: Hidden Odyssey. 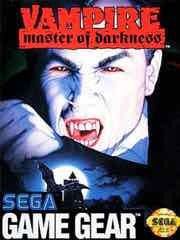 Also up for the Nintendo 3DS: Vampire: Master of Darkness, G-LOC: Air Battle, and Sonic Drift 2 - all ports of Game Gear games. A copy! 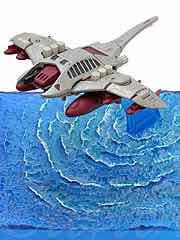 The Palisades Micronauts Baron Karza with Andromeda set aimed to bring you low-cost reissues of a cult favorite figure line which, despite many attempts, never had the comeback many feel it still deserves. So read on, read our Star Wars one too, and come back soon for more! Ad: In stock now! 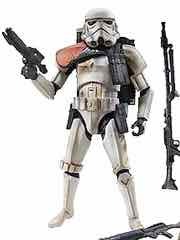 Amazon has awesome action figures in stock from Star Wars Mission Series, a new 3 3/4-inch line of action figure 2-packs at great prices! Click on over to grab yours while you still can. Via the Glyos News Dump: Ni Stuff Outlander: On Sale in Under 10 Minutes Sold Out gave Ni's first articulated stuff a quick shot at being on sale before very quickly blowing out of stock - in just a couple of hours, they were gone, and you probably missed it. Silas (the mostly white) sold out first with the Outlander (mostly blue) a little later. We ordered Silas, regretted not ordering the Outlander, and will bring you a review as soon as the sample allows/shows up. First up: Official Back to the Future LEGO Set Due July, $35. 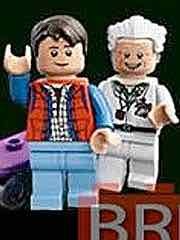 The good news: you get swell Doc and Marty figures. The bad news: Let's be honest, that time machine DeLorean looks awful. Click through the pic to see it. Supposedly the official reveal is Comic-Con, but eh, here it is. 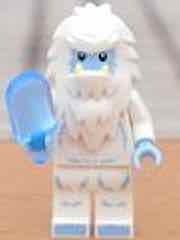 Next up: LEGO Minifigures Series 11 Photos: Yeti Welder Lady Robot & More, also at Bricks & Blocks. 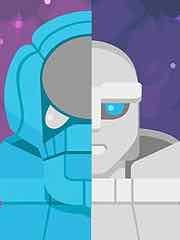 The Yeti has an awesome frozen treat, the lady robot is cute, and the evil Mech is a must-buy. Other rumored figures include a Tiki Warrior, Gingerbread Man, Diner Waitress, and a Jazz Musician. 1970s body, 2010s head. The Bif Bang Pow! Venture Bros. Molotov Action Figure came in the mail and I gotta say, it looks like a lot of money went into this figure, far beyond what was necessary to make it great. So read on, and come back tomorrow for more! Ad: In stock now! Entertainment Earth has awesome action figures in stock from Star Wars, Teenage Mutant Ninja Turtles, and The Watchmen with more coming! Click on over to grab yours while you still can. It's impossible to not like a Brian Posehn album - it's dirty, it's fun, and he reads comic books so you know he's on the right track. On the best-named comedy album of all time, The Fartist kicks off with a litany of complaints and observations building off the "nerd rage" alluded to on his previous albums. He used to be the guy who hated hearing comics talk about kids, and now he's talking about his kid - and he does a great job of getting to it, after the bits about strippers and quite possibly the longest series of fart jokes you'll ever love. The juxtaposition of baby and stripper is sort of exactly the kind of thing you'd want for a summer road trip, so be sure to put this on the playlists. It's hand-made! The Elly Font Art Elephant Magnets Overview features hand-painted wooden creations from a friend of mine, which include some designs inspired by the holidays, original designs, Battle Beasts, Star Wars, and more. And if you're going to Comic-Con, you might be able to score some for freesies. So read on, and come back tomorrow for more! Ad: Maybe these are gumdrop trees, I'm not a botanist. 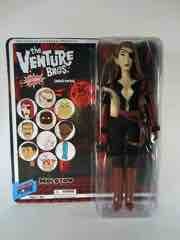 Entertainment Earth has a Venture Bros. Dr. Venture 3 3/4-Inch Figure, and it's in stock now! Naked Bloody Brock Samson is on the way soon. Get yours today, and collect them all! New to download on the Playstation 3 this week: NCAA Football 14 for $59.99, Binary Domain for $19.99, and History Legends of War: Patton for $23.99. 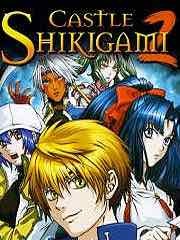 New PS2 classic games this week: Castle Shikigami 2 for $9.99. 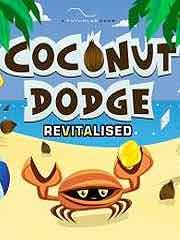 New to the PSP Vita this week: Aabs Animals, Coconut Dodge Revitalised and Total Recoil. Each is $2.49 and up. New full downloads include: LEGO Legends of Chima: Laval�s Journey and History Legends of War: Patton. Each is $29.99. Get a rig! 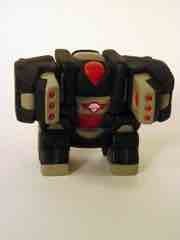 The Onell Design Glyos Reydurran Operations Unit Mini Blocker Rig Action Figure is long gone, but pretty slick. So read on and come back tomorrow for more! 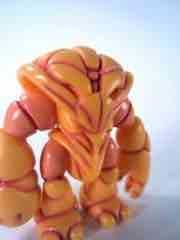 Via the Battle Beasts News: The DST Years is Battle Beasts at SDCC: Off-Site Event, Hot Wings Merk Promo! If you liked Shadow Merk, you're going to love Hot Wings Merk! This is Diamond's second San Diego Comic-Con 2013 exclusive Battle Beasts Minimates figure, and it looks pretty fantastic. Taste and Thirst on Fourth (715 4th Avenue) will be converted to Minimates Headquarters starting Thursday, July 18 at 10:00 PM and the exhibit will be open until 2:00 AM. It will also be open Friday at 11:00 AM and Saturday and Sunday at 8:00 AM. In addition to the promotional Hot Wings Merk figure, 10 years of Minimates figures will be on display spanning numerous licenses and a very large number of releases from comics, movies, music, and television. 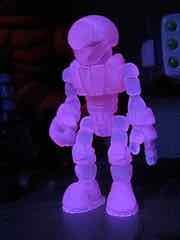 Over at Tumblr, I posted a Black Light Bonanza showing Glyos, Outer Space Men, and tons of glow-in-the-dark toys under a $4.99 compact fluorescent black light bulb. You can find them at certain big box stores - you know the ones - and they're screamingly bright. Well worth a look. 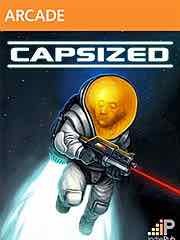 "Feverishly blast through a hostile planet packed with blood-sucking aliens in Capsized, an action-packed survival shooter that combines innovative physics-based combat with nods to classic platform games. Navigate through perilous environments while fighting bloodthirsty creatures to save your crewmates and escape with your lives. Use a grappling hook, jet pack, space-age weapons and powerups to fight through more than a dozen non-linear levels with lush, explorable environments across multiple modes. The Xbox Live release also includes exclusive levels, newly enhanced graphics and Achievements." 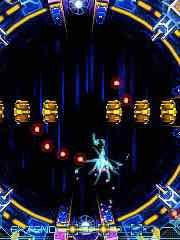 Galactic Hunter has posted a new review! It's a Star Wars 2013 Saga Legends R4-P17 Action Figure! it just came out, we just got it, and we took pictures - and made a video, too. Finally! The Hasbro Iron Man 3 Assemblers Striker Iron Man Action Figure started shipping a couple of months ago, but now you might actually be able to find it. So read on and come back tomorrow for more! 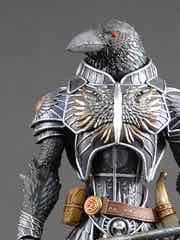 New at Kickstarter: Gothitropolis Raven Action Figure by Four Horsemen Studios. 6 figures are up for grabs, with more as stretch goals. The price per figure in the USA will range from $40 to $45, with slightly higher international prices - plus numerous opportunities for busts and 2-ups. The goal is $65,000 and needs to be reached by August 12, 2013. In the 10 minutes I took to watch the video and write this sentence, it went from just over $1,000 to just under over $3,000 - so it seems to be doing well so far and quickly! This week's Wii U offerings: Star Wars Pinball and Turbo: Super Stunt Squad for $9.99 and $39.99 respectively. 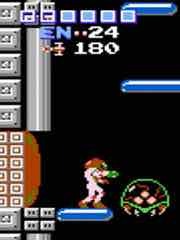 The Wii U Virtual Console has NES classics Metroid and Donkey Kong, each is $4.99. This week's batch on the 3DS Shop: 3DS games include Shin Megami Tensei 4 and Turbo: Super Stunt Squad. 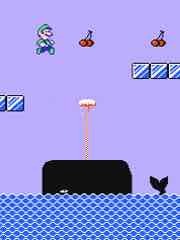 Also up for the Nintendo 3DS: Super Mario Bros. 2, a $4.99 port of an NES classic. Cheap! 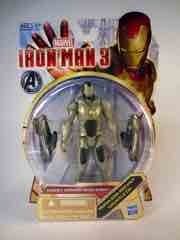 The Hasbro Iron Man 3 Ghost Armor Iron Man is about six bucks and, honestly, ain't all that shabby. So read on, read our Star Wars one too, and come back soon for more! Target is resetting! 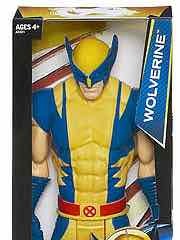 Some new toys are showing up, including the Wolverine 12-Inch Titan Heroes Action Figure But here's what's interesting: the price is unusually high. NEW! The NiStuff 481 Universe Outlander Silas Action Figure came in the mail last week, and it's fantastic. So read on, and come back tomorrow for more! Coming soon! 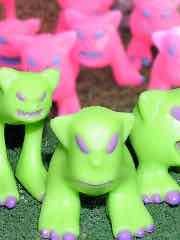 Shipments start Wednesday for the latest ToyFinity Club Mordle drop, which has pink Mordles, green Mordles, and a glow-in-the-dark Manglors egg. The shipping for one of each item is a mere $4. These should go on sale for the regular public shortly. 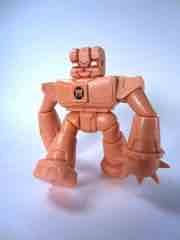 From the Glyos News Dump: Weaponeers of Monkaa SDCC Exclusive: MUSCLE Flesh Color W.O.M.O.M.F.G. 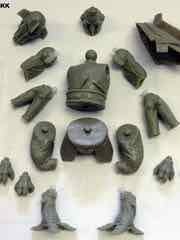 brings you a flesh-colored Weaponeers figure!. For twelve bones, you get all the heads and all the weapons. I'll probably snag one. I'm easy. Darius Arcade Games Getting New Poster Art, Arcade Rerelease Too? From a buddy of mine comes Taito Classic Posters Akiba Darius Fair with some stunning illustrations based on some classic fish-based 2D shooters. Supposedly the arcade machines are coming back to Japan, too! I think. Funded! The Gothitropolis Raven Action Figure by Four Horsemen Studios has surpassed its goal in just a few days, and now is in stretch goal territory. As of when I write this, it's over $73,000 and will probably keep climbing. With Clamp Champ pre-sold-out to subscribers only, yesterday's Matty Collecto Launch has a few good remainders at press time. He-Man, Icer, Granmyr, and Dragon Blaster Skeletor are joined by Nite Owl as well as Freddy Freeman. Off to San Diego, See You There? 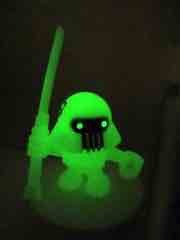 It glows! The Banimon Banigoth Horde Ghost Troopers (Assassination Squad) Action Figure was another redeco, but a good one - anything that glows is good. So read on, and come back tomorrow for more! Free art! FAFATL at SDCC 2013 has over a dozen works of art that will be given away, for free, more or less randomly, throughout the convention. More pictures with an article and details await you below. 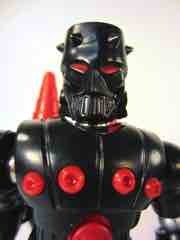 Via the Power Lords blog we'll probably stop keeping: Power Lords Prototypes On Sale This Week! Five different figures will be on sale, with six samples of each. Pictures are now posted showing the figure construction, which combines the articulation of Hasbro's 3 3/4-inch lines with Glyos. It's quite impressive and could be the new gold standard. Test shots start at $90 and go to $110. If you're wondering if I'll go after them... I'm thinking about it. Ad: Can't make the show? Entertainment Earth has a 2013 SDCC Exclusives, and you can have them sent straight to your door. Pick up items from Doctor Who, Venture Bros., Battlestar Galactica, Star Trek, and many more! 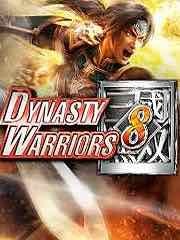 New to download on the Playstation 3 this week: Dynasty Warriors 8 for $59.99, Dead Island: Game of the Year Edition and Shaun White Skateboarding each for $19.99, Turbo: Super Stunt Squad for $39.99, and Time and Eternity for $49.99. 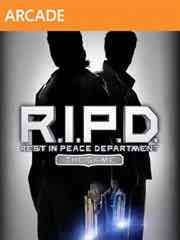 New PSN games include Alien Spidy and R.I.P.D. at $9.99, Voodoo Chronicles: The First Sign at $5.99, and Mamorokun Curse! at $19.99. New PS2 classic games this week: Capcom vs SNK 2: Mark Of The Millennium for $9.99. 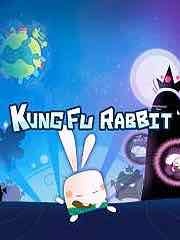 New to the PSP Vita this week: Doodle God and Kung Fu Rabbit. Each is $4.99 and up. New full downloads include: Geronimo Stilton in the Kingdom of Fantasy for $9.99 plus Geronimo Stilton Return to the Kingdom of Fantasy The Videogame and Mystic Chronicles at $14.99 each. 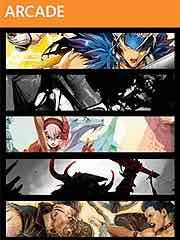 New PSP games include: Class of Heroes 2 for $24.99. Yes, it's on both. I like it! 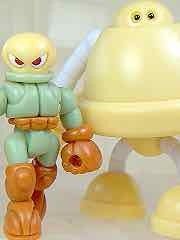 The Onell Design Glyos Standard Crayboth MK II Action Figure brings back the first Crayboth color, but with a few twists. So read on and come back tomorrow for more! 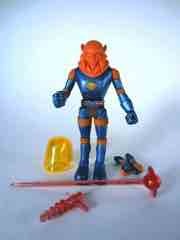 Via the Outer Space Men News blog: Outer Space Men SDCC Exclusives Finally Revealed! After some delay, 6 new pictures and some news got posted to SourceHorsemen.com! Horrorscope (pictured) looks great, and due to a delay the figures are expected to go on sale after noon on Thursday (today). I of course shall be there. I was expecting to do some sort of coverage for you tonight, but a) I was working inventory in the Entertainment Earth booth, and b) I didn't get back to my room until after midnight. So this will be very short. The Masterpiece Edition Soundwave did sell out, but more will be available today. 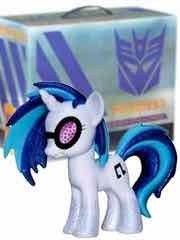 Hasbro did have items for sale, but I didn't hear what all did (or didn't) sell through just yet. Tomorrow I'll be going around with the camera and will start the typical ongoing coverage you've come to love/tolerate. 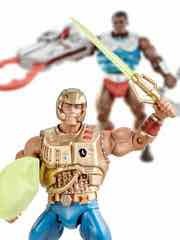 I was particularly elated to hear not only was Kowl confirmed but he's in a He-Man accessory pack. So that's good. LEGO-las! 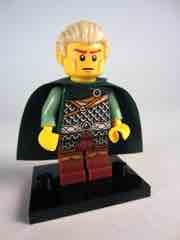 The LEGO Minifigures Series 3 Elf sort of hits it on the nose, and it's pretty cool too. So read on and come back tomorrow for more! 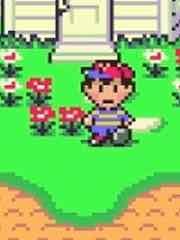 This week's Wii U offerings: The Wii U Virtual Console has Super NES classic Earthbound, at $9.99. It's cheaper than eBay. This week's batch on the 3DS Shop: 3DS games include Attack of the Friday Monsters! 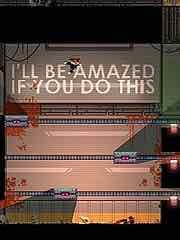 A Tokyo Tale, Undead Bowling, and Robot Rescue 3D. 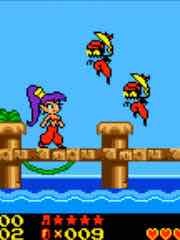 Also up for the Nintendo 3DS: Shantae, a $4.99 port of a GameBoy Color classic. New! 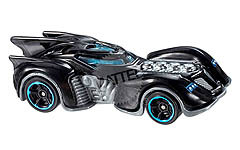 The Mattel Hot Wheels Batman Live Batmobile is a design not frequently seen in toys and a few months ago was reasonably common. So read on, read our Star Wars one too, and come back soon for more! Ad: Coming Soon! Amazon has dropped the price of its exclusive Slave I to $69.99! They also picked up the unreleased Droid Factory action figures - due this October - on unique cardbacks. Click on over to grab yours while you still can. NEW! The Four Horsemen Outer Space Men Alpha Phase Colossus Rex Action Figure hit last Friday at SDCC, and this was a fast turnaround. Short version: it's a lot like Cyclops and it's pretty swell. So read on, and come back tomorrow for more! I likely won't get an FOTD up before the drop, so I'd rate them both as "neat enough." If you think you want some Mordles, get these. I like the pink ones, they feel like late-1980s leftovers. And the glowing Manglors Egg is a glowing Manglors Egg, I don't need to spell that out for you. 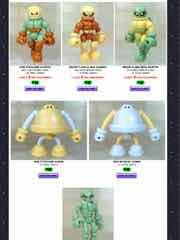 From the Glyos News Dump: Standard Noboto, Gobon on Sunday with six new figures, two of which are here and, I presume, the others are likely reverse Nobotos and Gobons. This is the first "standard" release for both figures, so do be there on time. New beasts! Battle Beasts at SDCC 2013 showed us sharks, cows, madmen, exclusives, and more figures to look forward to in the coming months - early 2014, maybe. ALIENS Minimates were shown as well but no photos were permitted. So red! 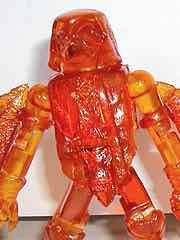 The Onell Design Glyos Neo Aves Exellis Action Figure is one of too few red figures in this range, and the color is exquisite. So read on, and come back tomorrow for more! New PSN games include Stealth Inc.: A Clone in the Dark, Do Not Fall, and Zone of the Enders HD Edition at $9.99, Zeno Clash 2 at $14.99, plus Zone of the Enders: The 2nd Runner HD Edition and Hot Shots Golf: World Invitational at $19.99. 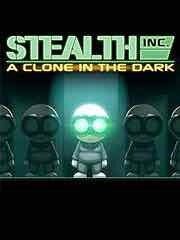 New to the PSP Vita this week: Stealth Inc.: A Clone in the Dark for $9.99. Sorta different! 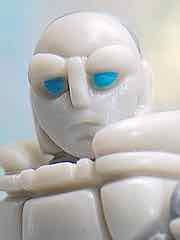 The Four Horsemen Outer Space Men 2.0 Xodiac Action Figure brings back the painted figure with slightly brighter colors and sorta different accessories. So read on and come back tomorrow for more! Some are gone! 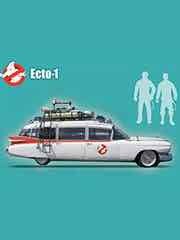 The Hasbro 2013 SDCC Exclusives are on HasbroToyShop.com! Metroplex and Boba Fett sold out in minutes, while the G.I. Joe/Transformers set never showed up for sale. Be sure to see what's left while you can, and check back in the off chance more show up later. It has happened before. 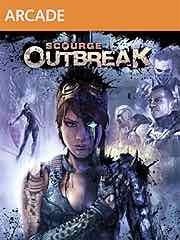 "This bundle includes five full Xbox LIVE Arcade titles: "The Dishwasher: Vampire Smile," "Bloodforge," "Dungeon Fighter LIVE," "Islands of Wakfu," and "Unbound Saga." PLEASE NOTE: this bundle pack offers these games together at a discounted rate over individual purchases. The games in this bundle are available as individual downloads in the Xbox Games marketplace and are exactly the same. Be aware that it is possible to download the same game twice. If you already own one of these games there is no additional discount on this bundle, nor do you receive an additional copy of the game you already own. There are no refunds for this item. For more information, see www.xbox.com/live/accounts." Fleshy! The Spy Monkey Creations Weaponeers of Monkaa OMFG Gohlem Action Figure matches your OMFG or MUSCLE figures, more or less. It's pretty cool! So read on and come back tomorrow for more! It's new! Han Solo in Carbonite and Boba Fett teamed up for a Comic-Con exclusive, and we have a video of it for you. Check it out! More soon - we swear! Also, you can pre-order Boba Fett (without the Carbonite) at the link below as it's going to be out later this year. Ad: It's time to get new figures! Order the Star Wars Black Series 6-Inch Action Figures Wave 2 Case from Entertainment Earth! Also be sure to snag the Star Wars Black Series 3 3/4-Inch Action Figures Wave 2 Case, click the pic to see everything and don't forget - that case of smaller figures qualifies for free shipping, too! This is a fairly deluxe item, boasting storage racks, electronic sirens, and actual Cadillac logos. 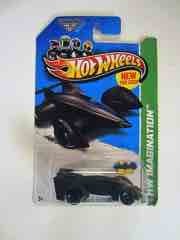 (The recent Adam West Batmobile at Comic-Con was a much cheaper affair.) It's due to ship in Fall of 2014. 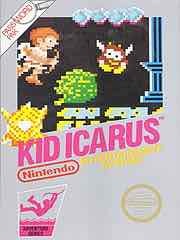 This week's Wii U offerings: The Wii U Virtual Console has NES classic Kid Icarus, at $4.99. It's fun, I just played through it again earlier this year. This week's batch on the 3DS Shop: 3DS games include Chain Blaster, Anglers Club: Ultimate Bass Fishing 3D, and Picross E2. Also up for the Nintendo DSi: Cute Witch! Runner, a $1.99 release. A little horse! 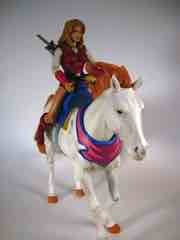 The Mattel Masters of the Universe Classics Swiftwind is not a pretty pony, but it's certainly an impressive beast. 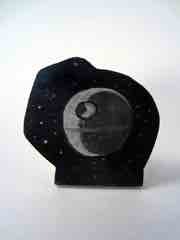 So read on, read our Star Wars one too, and come back soon for more! 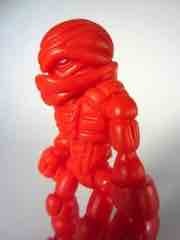 Via the Glyos News Dump: See Glyos Onell Design July 29 2013 Drop Menu! Six figures went live Sunday evening and in an unusual move, none of them have yet sold out! The Standard Gobon appears to be the first to go. 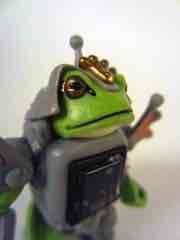 Via the Outer Space Men News Blog: See New Outer Space Men Painted Photos from Mel Birnkrant! Mr. Birnkrant posted dozens of images and stories of the next painted batch of Outer Space Men action figures, due late this year or early next year. Check them out! Big Lots stores are getting old Matty Collector stock. 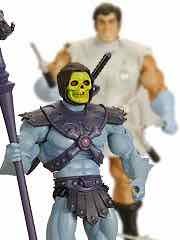 I personally sighted $10 Mo-Larr vs. Skeletor Figures at a store near me - that's $10 for the 2-pack, not $10 per character. 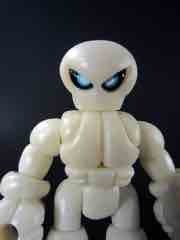 If you need a cheap Skeletor body, you won't find a cheaper one. The sets came without their white mailer boxes, only the standard window box was visible on shelf. 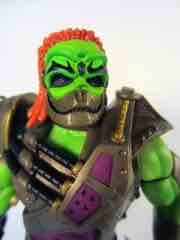 I hear other MOTU and WWE figures are hitting, so go look! All sorts of new toys are hitting this week, including multiple Transformers Generations toys after months of little/nothing, new Star Wars, and much more. If you haven't been to a store in the past few days, take a look - odds are something of interest is there for the taking! I've found 3 3/4-inch Black Series, a whopping 9 new Generations deluxe Transformers, both new Legends sets of Megatron and Starscream, plus a few other items. It's ridiculous. Go leave your house and look! Ad: Coming Soon! Amazon has all the Transformers Generations Deluxe Wreckers at $14.99! They combine to form Ruination, and include unique weaponry. Take a look, or even order a set. Nice! 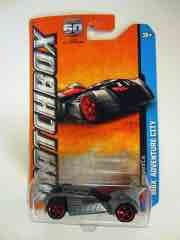 The Mattel Matchbox Batmobile is light on color, but dang is it nice. So read on, and come back tomorrow for more! 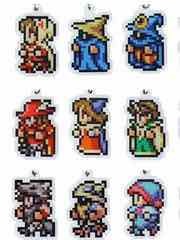 Importer NCS has a Final Fantasy All The Bravest Metal Keychain Set with 29 pixel character keychains for about $4 per, making the set about $117. Black mages, white mages, ninjas, moogles, chocobos, and more are present. It's due in September. Order the Star Wars Black Series 3 3/4-Inch Action Figures Wave 1 Case from Entertainment Earth! The Star Wars Black Series 3 3/4-Inch Action Figures Wave 1 Case is in stock, and qualifies for free shipping, too! While you're at it, pre-order wave 2! Froggy! The Takara-Tomy Beast Saga Guarl Action Figure is quite an impressive beast. So read on, and come back tomorrow for more! Ad: In stock now! Batman & Robin are here, and you can get yours from Amazon.com right now - click through to order. Also, take a look at multiple new pictures of Catwoman and the Joker. New to download on the Playstation 3 this week: New PSN games include Cloudberry Kingdom and Narco Terror at $9.99, plus The Last Bounty Hunter at $7.99. 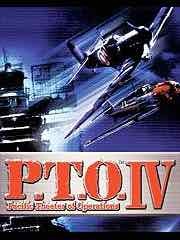 New PS2 classic games this week: P.T.O. IV for $9.99. 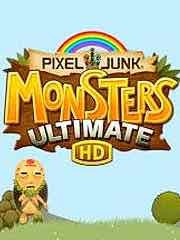 New to the PSP Vita this week: Pixeljunk Monsters: Ultimate HD for $14.99 and Puzzle by Nikoli V Slitherlink for $9.99.